It’s an odd thing to say, that in 2019 giving the fans what they want appears to be a taboo amongst publishers. We often encounter long running franchises that suffer from a need to reinvent, much to the chagrin of the people that hold the IP in high regard. Capcom is one such publisher that has been very guilty of this in the past. Street Fighter as an example has had a troubled few years, IP such as Lost Planet, Bionic Commando and Dead Rising have also barely endured rising and falling reputations due to questionable design and fatigue. This all came to a head in the previous generation when the famously Eastern company would decide to outsource IP to western developers. With results being birthed that resulted in titles from the aforementioned, and many others that did not quite reach the lofty standards previously held from older generations. However, Capcom seem to be taking heed of the past generation and are proving that the heart of the company is still alive and well. The publisher has enjoyed successes from the likes of Monster Hunter for years now, the recent Megaman 11 and Resident Evil 2 Remake are also great signs that Capcom are back on form. Devil May Cry 5 is no exception to this comeback. Much like what was achieved with the stellar Resident Evil 2 Remake, Capcom has delivered an experience that will be lauded by fans and newcomers alike. The series roots shine through, incorporating everything that made the Devil May Cry franchise a genre setting fan favourite amongst the publisher’s catalogue. Everything is present, the stylish sword and gunplay, the series trademark snark and a melodramatic storyline that wreaks of cheese and good times. 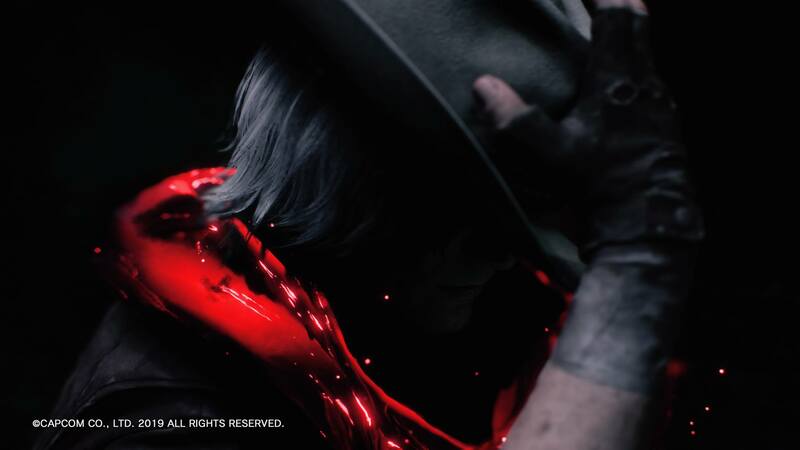 Devil May Cry 5 starts off unlike many others, with a prologue that sees Nero, previously introduced in DMC4, heading into a battle he cannot win against a foe that has already got the best of the legendary devil hunter Dante. The demons have won at the behest of the demon king Urizen and it is the task of Nero and mysterious newcomer V to gather their strength and overthrow him before the end of time truly comes to pass. While I will not say that the overarching lore of Devil May Cry is an important aspect of the experience, it certainly does seem that Capcom have taken that extra consideration to make things interesting. It’s certainly not typical to see a character as cocksure as Dante having difficulty defeating an enemy, let alone taking it seriously. This is not to say that things get overly dramatic, but enough for there to seem like the game has stakes. Of course, the most important thing lies within the combat. DMC is best known for being a fast paced, slick hack and slash series that rewards style and experimentation. 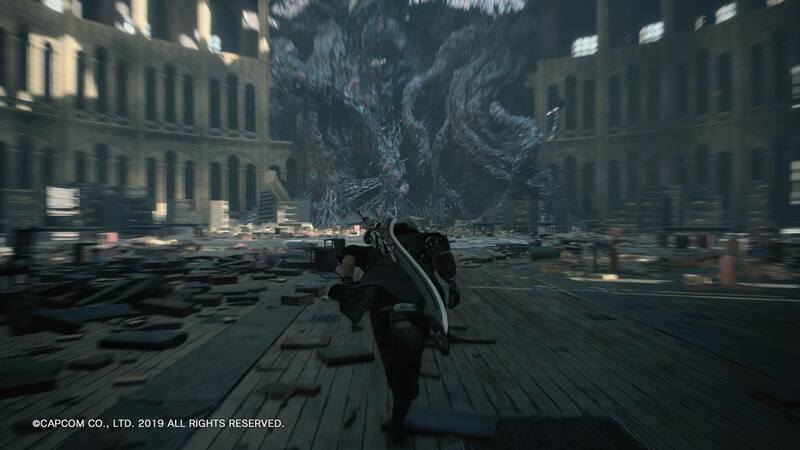 DMC 5 is no different and from the off, playing as Nero you get to experience the series famed combat as it is best known. Initially when Nero was introduced in DMC4, he was seen as a bit of a copout. A shadow of Dante that not only took his look but flew a bit close to the sun by presenting him as a floppy fringed emo counterpart that acted as the audience, who couldn’t wait to get their hands back on Dante as opposed to this imitation. However, there is a lot to like about Nero this time around. His character maintains the fluidity of previous Dante appearances and has been improved with the advent of the Devil Breaker arm system. 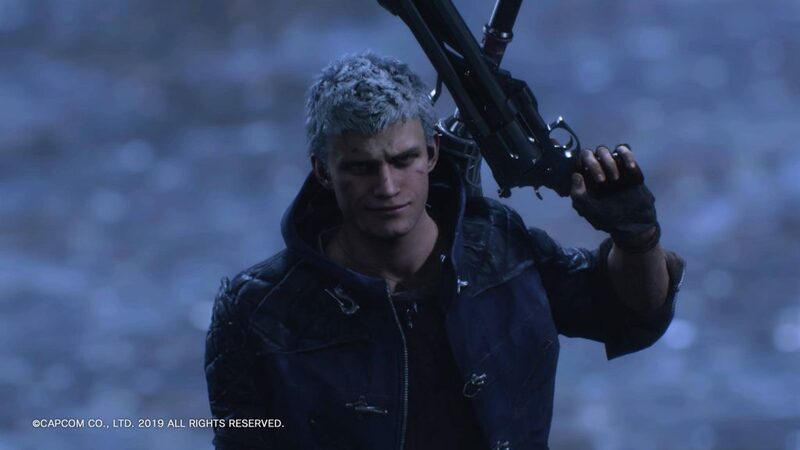 Nero’s demonic arm gets removed early on into the game so now he enlists the services of his compatriot Nico, who develops machine-based arms that are crafted from the pieces of fallen boss demons. This system provides the experimentation side of Nero, as otherwise he is quite grounded with the use of only one sword and gun combo. Devil Breaker abilities can range from the explosive to arms that can slow time or extend sword combo’s past their teens. Newcomer V is an interesting beast. Instead of leaping directly into the fray, he instead commands demonic summons that do his bidding. Fans of the original game will enjoy this particularly as these demons take on the form of bosses that regularly blocked Dante on Mallet island. 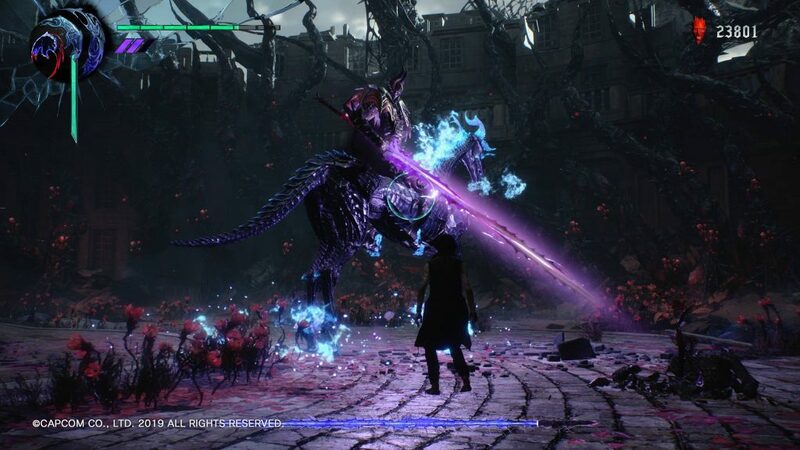 Shadow is V’s melee attack, Griffon provides ranged support and then there is Nightmare, a powerful summon that appears as a large golem during V’s Devil Trigger status. A ranged battle mode such as this is likely the kind of thing that would have landed Capcom in hot water before due to the difference and character being one poetry reading shy of writing lyrics for Funeral for a Friend, but genuinely this approach is well handled and importantly feels right with the DMC combat system. But then, there is Dante. The original and best reason to pick up a game called Devil May Cry. His fifth instalment appearance is nothing short of stellar and he maintains every aspect of the best of his previous incarnations while enjoying many improvements and new opportunities for chaotic fun. 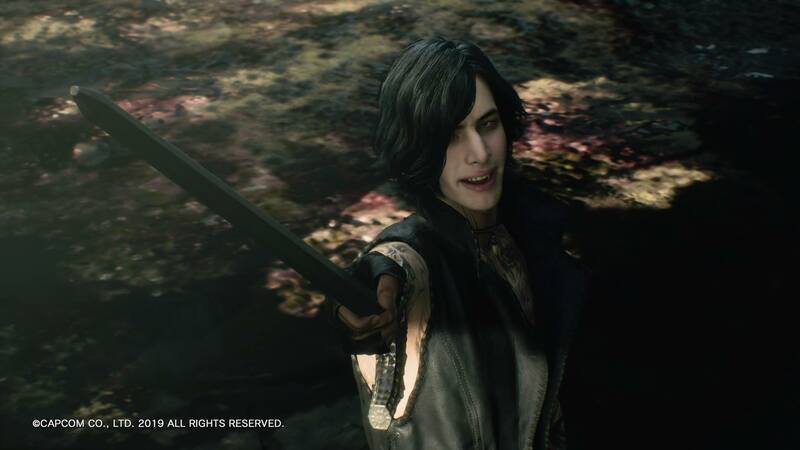 The most intriguing part of his character is that while I was having fun before with Nero and V, the moment I got my grips on Dante, the other two characters simply didn’t feel as versatile or as fun as they once did. 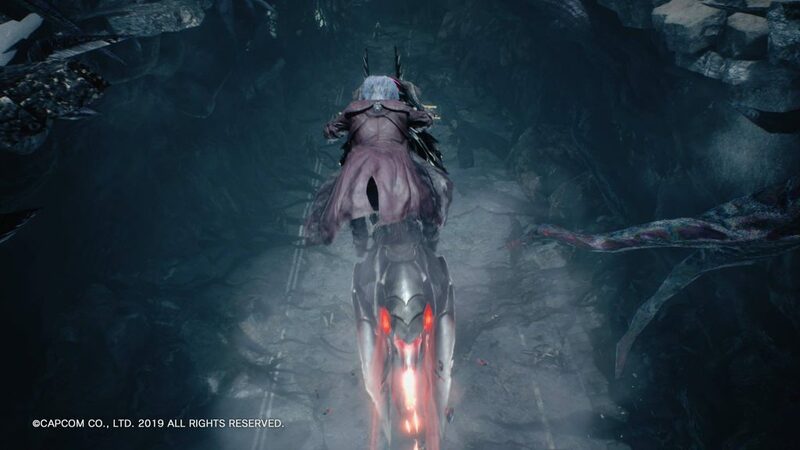 The amount of options available to Dante in terms of weaponry, his four fighting styles and his chaotically cocksure attitude to the demonic uprising steal the show entirely. As new weapons unlock from downed foes, the scope for experimentation increases, you start off with the standard sword/ebony/ivory combo, but you soon gain the ability to wield gauntlets, a red orb firing hat and even a motorcycle. All of these sword/ ranged combos can be switched around on the fly, creating scope for endless combos that provide a wonderful sense of empowerment and control the likes of which DMC hasn’t enjoyed since the third in the series. It’s sublime. Of course, Dante kind of makes it difficult to go back to choosing V or Nero due to how good it feels. 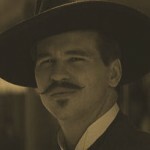 But I must stress, the other two characters play their part and provide great dynamics of their own. These dynamics are enjoyed a bit more when you get levels that allow you to tread through as a choice of either. Each character having their own trials to overcome and areas to explore. A fun feature of this is in the moments of which you see other characters progressing through the stage in tandem with you. This isn’t a typical multiplayer mode as such, but more of a way to view another player as they plough through demons as you do. It doesn’t go much further than that sadly and I would have liked to have seen something that had more player agency, but it’s fine and doesn’t take away from the experience in any way. Of course, with the introduction of the new Resident Evil engine to drive it, the game looks stunning and enjoys all of the benefits of improved performance. Devil May Cry feels buttery smooth considering the impressive aesthetics. All three characters slip around their arenas effortlessly despite an abundance of effects and enemy population, despite this it never feels too chaotic to see what is going on around you. Characters look believable, yet hyper realistic and the slathering demons are as visually grotesque and complex as you would hope. Of course, this may seem a bit too easy to say considering that our last benchmark for the franchise was DmC on the previous generation, but the improvement is leaps and bounds above many examples of the genre. Lastly, visuals are an important aspect of presentation, but music is also. DMC5 does not disappoint here either. Well, as long as you like this sort of thing. The soundtrack features the screaming heavy metal riffs and basslines that have been heard previously from the franchise, however there is a more dynamic element to these. As you play and succeed through the combat ranking system, the music swells and ramps up depending on how well you do. This is particularly palpable as you get to the A Ranking as the lyrics from each character’s theme begins to sound through, it’s nothing short of brilliant. Devil May Cry 5 doesn’t deviate away from its core formula of slicing demons, fighting bosses, collecting red orbs, upgrading skills and repeat. Of course, this is nothing to complain about. This is what Devil May Cry does best and sometimes, more of the same is exactly what we need. Especially when the result is as fun and rewarding as this. Capcom continue their winning pace with Devil May Cry 5. The game is everything a fan would want it to be and there is plenty of style, character and consideration made for newcomers also. Make no mistake, beyond nostalgic feelings from the past, this is the best Devil May Cry experience out there and one that should be enjoyed by as many devil hunters as possible.